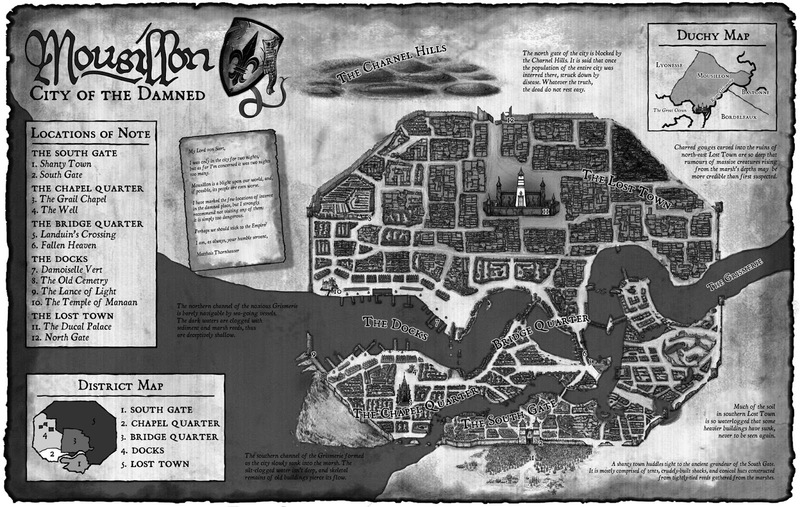 The city of Mousillon, once a thriving port town on the west coast of Bretonnia, has an evil and sinister reputation. Shunned by the common folk it is largely deserted, and those that dwell there have an ill and foreboding aspect. 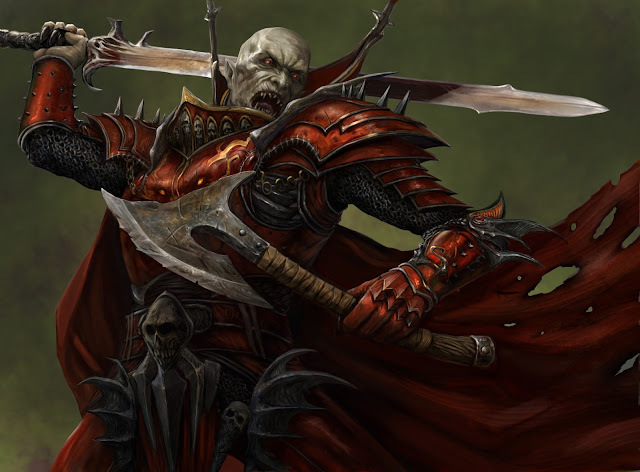 Mousillon is the home of the Red Duke, a proud knight of old who once led men in the Crusades against Araby. This was over a thousand years ago. Mousillon, the City of the Damned. Nowadays the Red Duke still holds sway over Mousillon, for the once proud Duke of Aquitaine is a feared vampire of legend. When the Age of Reckoning began and the world fractured into hundreds of squabbling factions an Undead army burst forth from Mousillon and marched on the lands of men. Led none other by the Red Duke himself, the dread host captured the cities of Lyonnesse and Gisoreux. The Duke, in his endless rage, declared war against the living, and punctuated his declaration by the wholesale slaughter of thousands. The nation of Bretonnia was also in the grip of its own civil war, and the threat of Norscan reavers left the king of Bretonnia, Louen Leoncouer, unable to act. 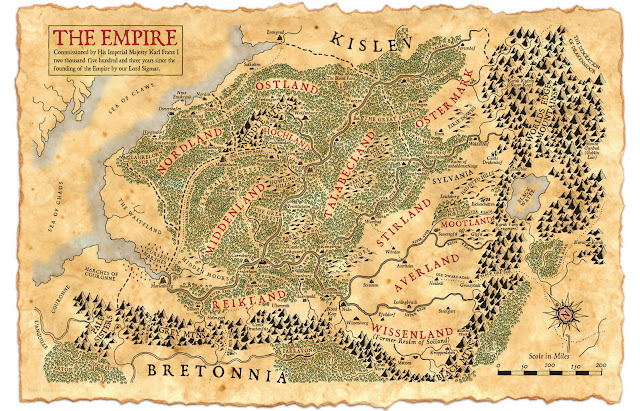 With his base in Reikland temporarily secured Franz was free to move against Mousillon, however, and after obtaining the king's permission Franz mobilized a force of Reiklanders to head west into Bretonnian lands. The city of Gisoreux lay at the south-western end of the Gisoreux Gap, while the city of Marienburg, so recently annexed by the Empire, lay in the north-east. Franz did not want an Undead host marching through the pass to threaten his occupation of Marienburg, and resolved to destroy the Red Duke once and for all. In this he had the assistance of the Grand Theogonist Volkmar himself. Franz could now field two armies, and the second he entrusted to the venerable head of the Cult of Sigmar. Moving together in tandem Franz and Volkmar defeated the Red Duke and drove him back from Gisoreux. They pursued the Duke back to Mousillon, and together they captured that squalid ruin and destroyed the remainder of the Duke's army. The final act in this swift campaign was the liberation of the port city of Lyonnesse. 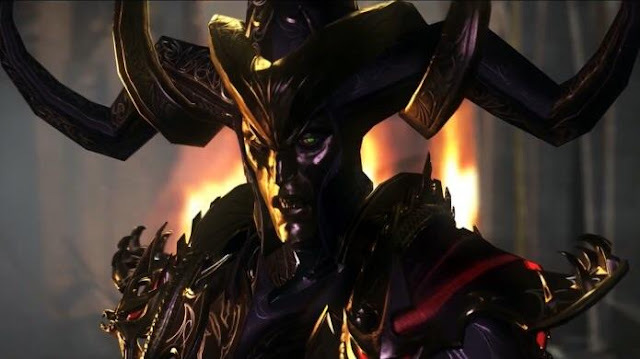 In a matter of several weeks Karl Franz had destroyed another enemy of humanity, adding yet more laurels to his name, and earning the gratitude of the Bretonnian provinces. Franz and Volkmar's westward route in the Mousillon campaign. The two armies muster in Altdorf, take river barges to Marienburg and then head south-west through the Gisoreux Gap to Gisoreux. After capturing Gisoreux they march on to Mousillon, before finally liberating Lyonesse from the Red Duke's clutches. Things are looking up in this campaign. Our borders have stabilized, allowing us to strike west against Mousillon without fear of being attacked at home. I've unlocked another Legendary Lord, Volkmar the Grim, and have the financial resources to field a second army. I've recruited a bunch of heroes - captains and warrior-priests - and seeded them in both armies. If these heroes don't die they will grow to be powerful melee units. I've also got a Light Wizard as a reward for completing the Bloodpines quest earlier in the campaign, and he's coming along nicely. Wizards can be used in a wide variety of roles, but I use mine to delay the enemy with the Net of Amyntok spell or make troops unbreakable for short periods of time. The world map, as it appears in the Total War interface. 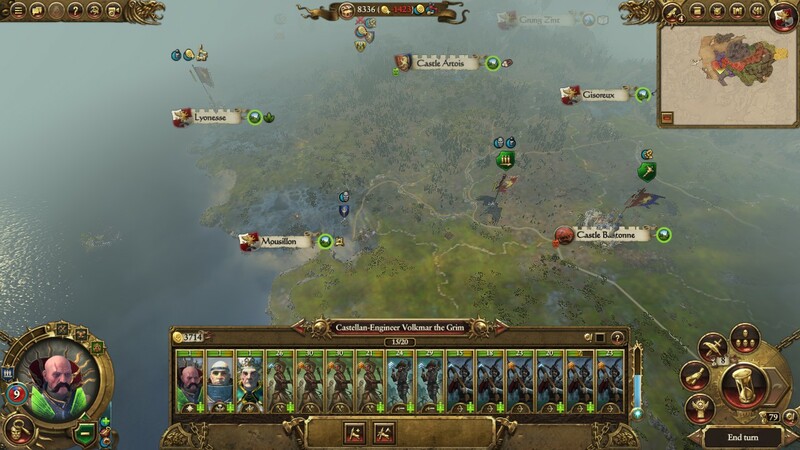 Volkmar has just finished off Mousillon by capturing Lyonesse in the north-west. Franz's army composition has changed now that we have the capacity to recruit Reiksgard. Before he used to field a balanced army with swordsmen and crossbows - now his army is composed purely of Reiksgard knights and skirmishers. At the beginning of each battle I split the knights into groups and place a mounted hero in each group, and then deploy the skirmishers ahead to disperse the enemy army. We can then pick and choose when and where to strike. The cavalry are fast enough to evade bad match-ups, while no one is safe from Franz flying high above the battlefield on his griffon. 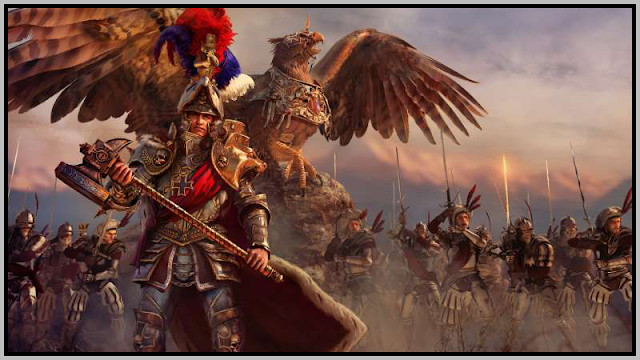 Volkmar's army is more conventional, using line troops and missile units to present a traditional battle line. The wizard is more useful here, so I've placed him with Volkmar rather than with Franz. Every Imperial army should have a warrior-priest - not only can they become quite tanky once they gain several levels of experience, but they also have the ability to replenish lost troops faster between turns. This isn't important yet, but will be when facing multiple armies in the middle game. Ideally I would love to have artillery in Volkmar's army, too, but I've run out of building slots in the Reikland to unlock it. 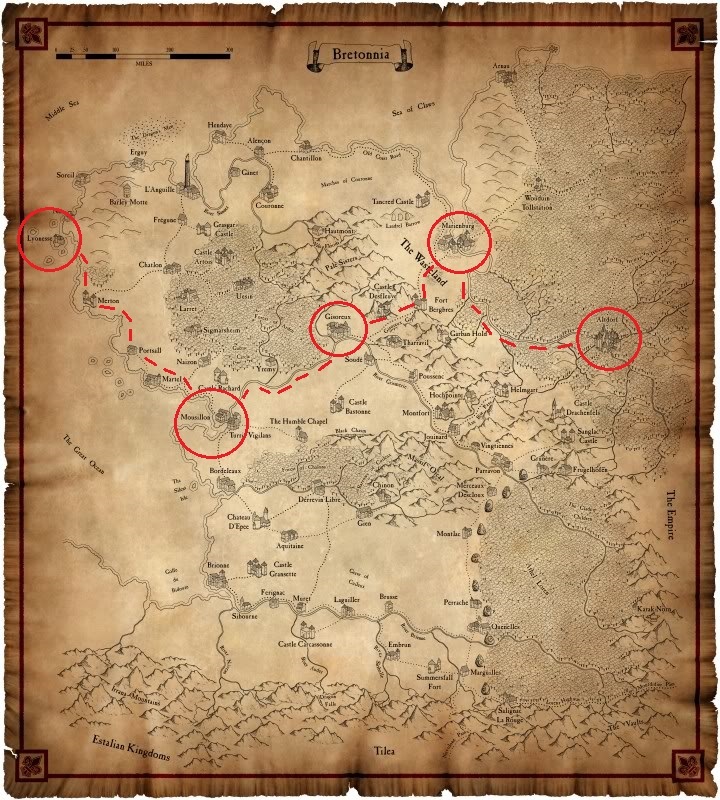 Gaining Lyonesse gives me a third provincial capital after Altdorf and Marienburg, and the priority for this city will be to unlock artillery for the Imperial armies. And the King is chill that the Empire is controlling one of the Duchy of Bretonnia? (I have little idea how the world map works, especially diplomacy ;-) ). Still thank you for this write-up! I'm pretty sure King Leoncouer isn't happy, but Bretonnia is in civil war at the moment and he's busy fighting.